This multi-level parking garage is right over the way from the terminal on Century Boulevard making it the overall best value garage at Los Angeles International Airport. The rates are real low, and it offer convenience to everyone on a budget that’s wanting to park in a reasonable quality lot. You may find cheaper, but you won’t find closer for this low price unless you’re willing to travel miles out from LAX. Airport Parking is important, you need to know your car is safe, you need to know you’re parking with a reliable parking company and its important to know about the security features. At Airport Center Express, you’re worries become dreams as this garage operates 24 hours a day, 7 days a week, is well-lit and has excellent security. 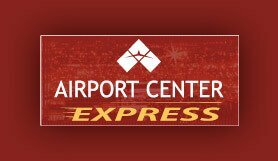 With 2600 spaces and all indoor, Airport Center Express is the answer to your LAX Parking needs. Furthermore, the shuttle runs every 15-20 minutes, 24 hours a day and takes just 2-3 minutes to get you to the terminal. The friendly on-site staff will assist you and friendly drivers will help with your baggage should it be required. With Looking4.com you can reserve your spot on-line, make payment and then relax knowing your spot is reserved and knowing you got a great parking rate which is unlikely to be beaten on any other website. At Looking4, we work hard day in day out to bring you the best LAX airport parking options at the best rates. All taxes and airport levy fee are included in the price. Disabled parking spots and facilities are available. Upon arrival, please take a ticket and find a spot on level 4 and above. Proceed to the shuttle bus waiting area located on the first floor. Shuttle buses are running to and from the airport every 10 - 15 minutes. Garage clearance is 6'6". Proceed to the “Shuttle Zone - Private Parking Lots” curbside area outside ticketing on the upper level. FROM I-405 (NORTH AND SOUTH) exit Century Blvd. West. Follow to 5959 W.Century Blvd.Airport Center Express is on the right. FROM AIRPORT BLVD SOUTH turn right on Century Blvd (West) Follow to 5959 W. Century Blvd. Airport Center Express is on the right. FROM SEPULVEDA BLVD SOUTH go right on Century Blvd (East). Make U-Turn at Airport & Century. Follow to 5959 W. Century Blvd. Airport Center Express is on the right.